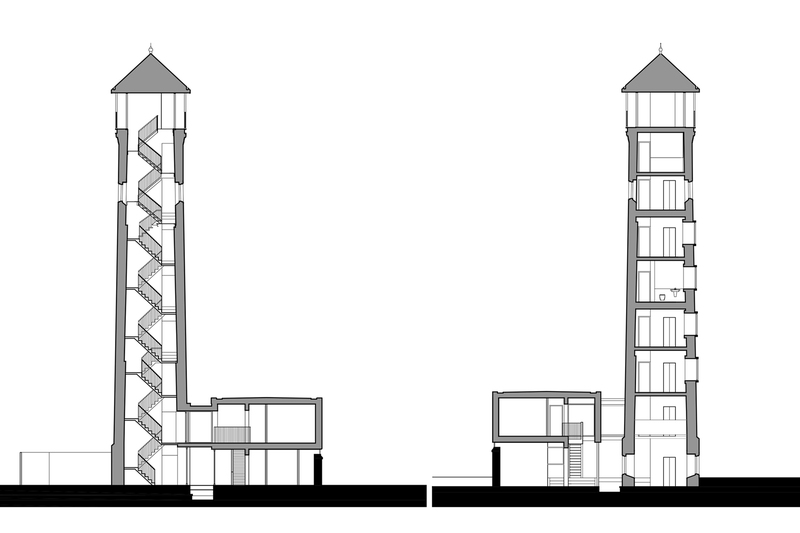 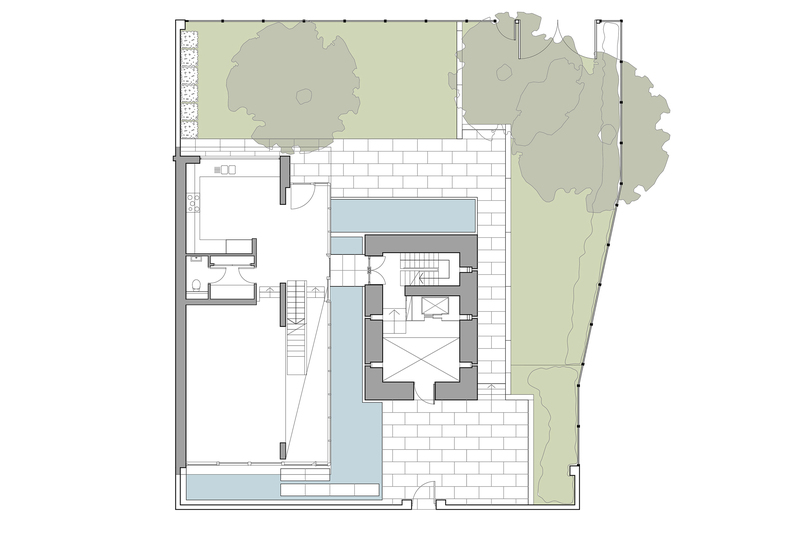 New build insertions in the form of a pavilion and courtyard at the lower levels and a top floor observation deck contrast with the converted eight storey Victorian water tower in this unique single family-occupied residence. 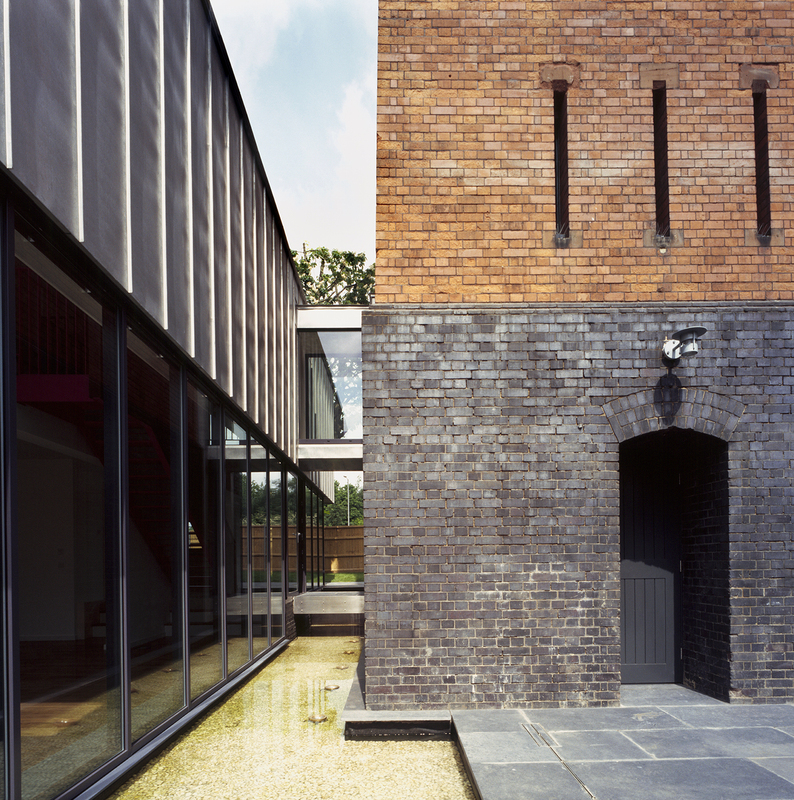 This painstaking conversion transformed an eight-storey Victorian water tower into a unique family home through the introduction of a new-build pavilion and courtyard. 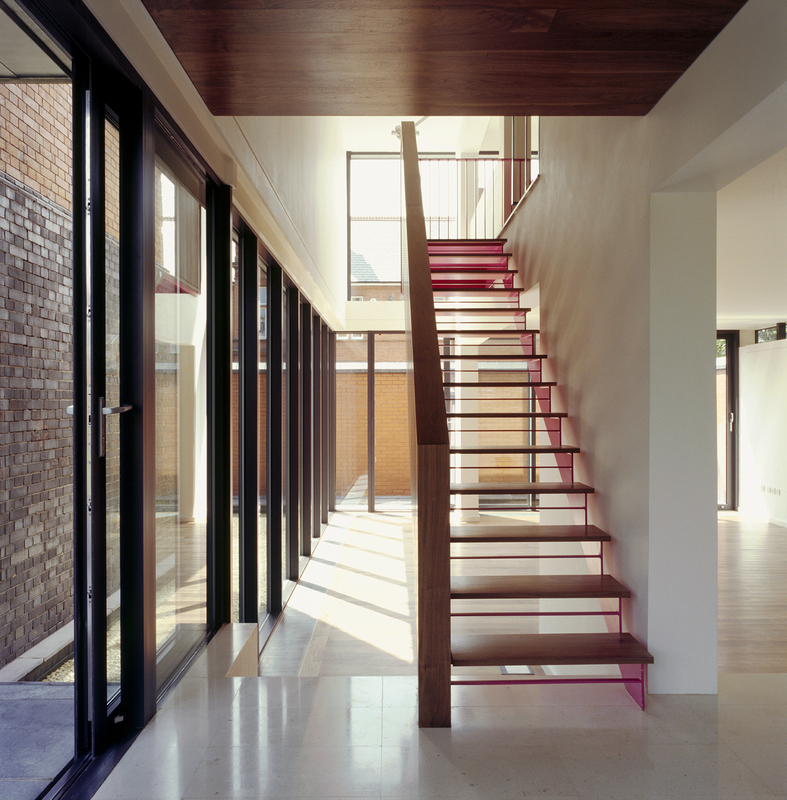 A hydraulic lift was also fitted alongside the tower stair which leads to a tower-top observatory level. 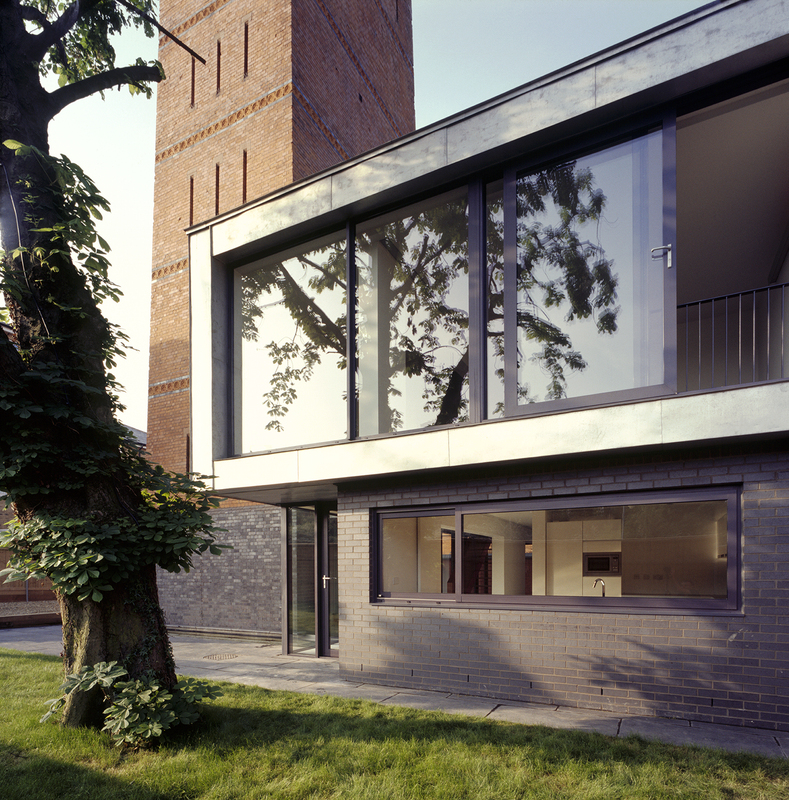 At the base of the 120-year-old tower, a new two-storey pavilion houses the living accommodation including an entrance hall, kitchen and living/dining space on the ground floor, two bedrooms and a utility room above, with a covered bridge into the tower. 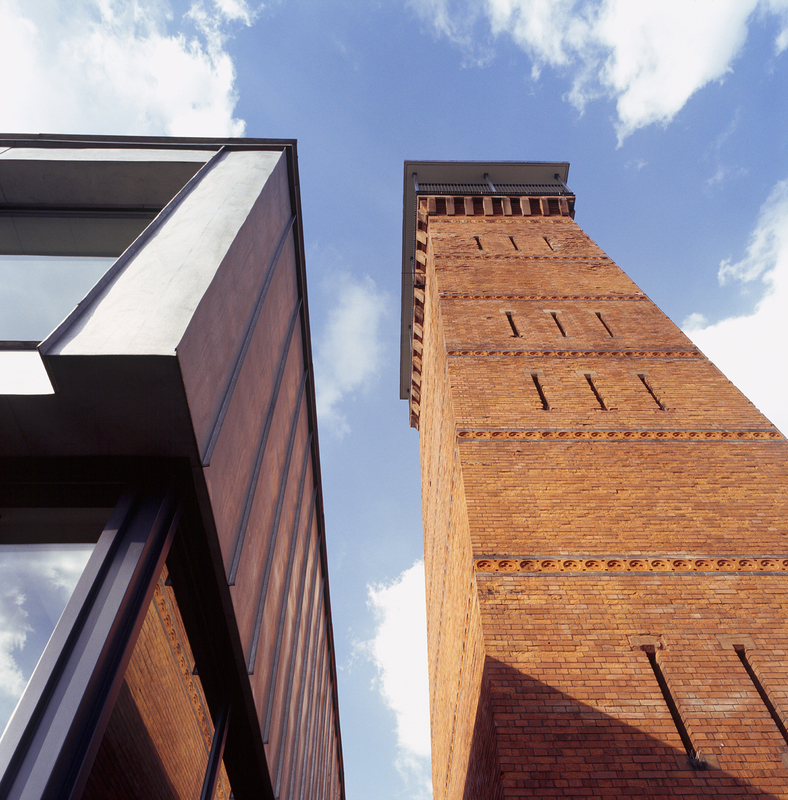 The tower was sensitively restored, its brickwork sandblasted and chemically cleaned, damaged terracotta mouldings remade to match and pieced in. 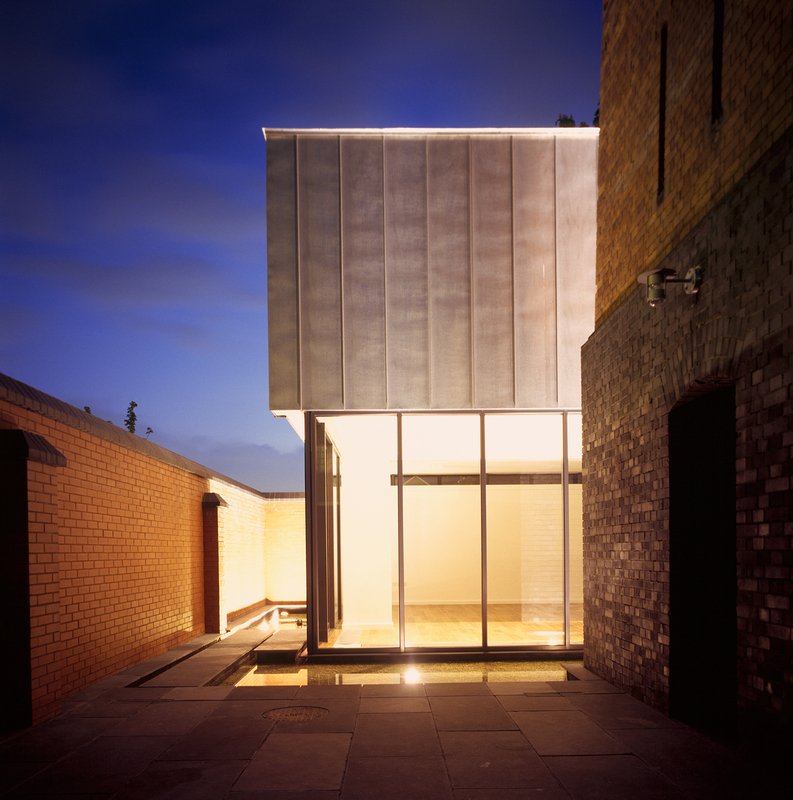 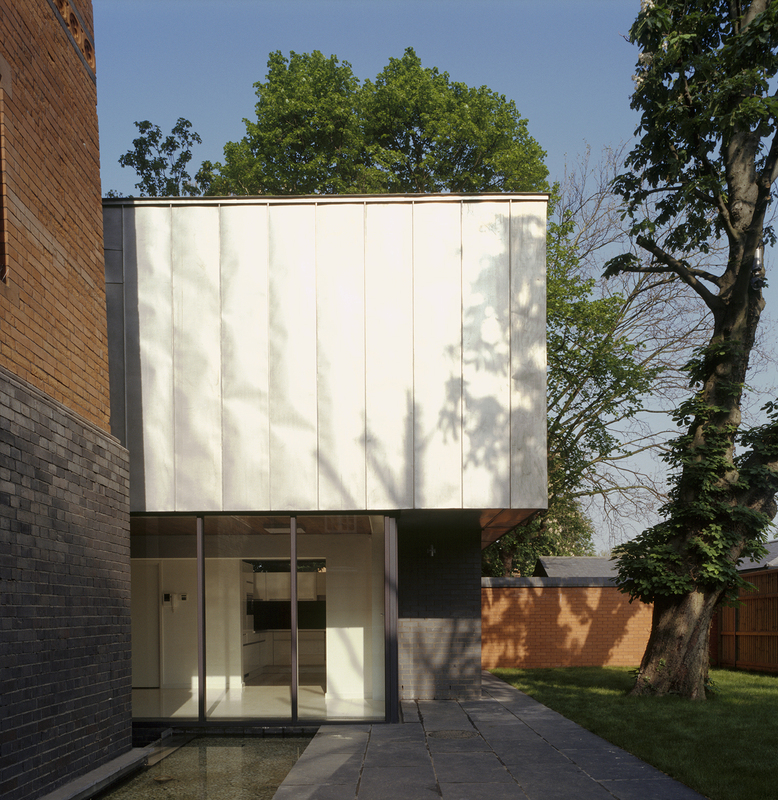 In contrast, the new pavilion has extensive metal-framed glazing, with brick to the ground floor matching the tower plinth, then a stainless steel-clad first floor.